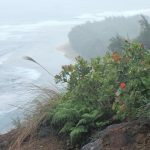 (Līhuʻe) - Barring bad weather or unforeseen delays in repairs or new management implementation, Hā'ena State Park and the Kalalau Trail in the Nāpali Coast State Wilderness Park will reopen to visitors in early-to-mid June. The official reopening date will be announced in May. (Wailuku)–The DLNR Division of State Parks is hosting an open workshop meeting on Thursday March 14, 2019 from 5:00pm to 7:00pm at the Velma McWayne Santos Community Center in Wailuku for attendees to discuss their insights, concerns and recommendations directly to project staff on improvements made to ʻIao Valley State Monument. 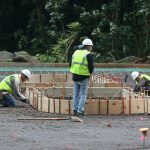 (Honolulu) –Construction project improvements begin this week at the Pu’u ‘Ualaka’a State Wayside Park for work on the City and County of Honolulu’s Radio Communication facility. (Hā‘ena State Park, Kaua‘i) – Opening is totally dependent on the repair and restoration of Kūhiō Highway, the only road to Kaua‘i’s north shore, and completion of the intense work that is underway at Hā‘ena State Park, which was also heavily damaged during last April’s world-record rain storm. 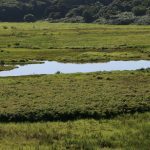 (Honolulu) – An irreplaceable parcel of coastal land on O‘ahu’s northwestern shore has been donated to DLNR to protect it forever. The Tom family owned the roughly ½ acre parcel for decades, and they partnered with the North Shore Community Land Trust to transfer it to the State. 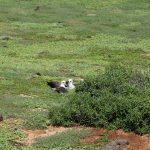 DLNR plans to designate this iconic coastal area as an extension of the Kaʻena Point Natural Area Reserve (NAR). 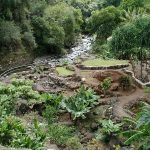 (Honolulu) – 38 years ago an intergovernmental treaty was signed that provides the framework for national action and international cooperation for the conservation and wise use of wetlands and their resources. World Wetlands Day marks the date of the adoption of the Convention on Wetlands on February 2, 1971 in the Iranian city of Ramsar. 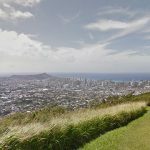 (Honolulu) – Maintenance workers with the Dept. of Land and Natural Resources begin the process today of cleaning up from the weekend’s powerful winter storm. 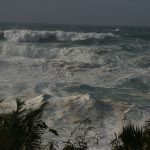 Heavy surf and high winds broke nine vessels away from their off-shore moorings on Maui and Molokai. At the Lahaina Small Boat Harbor on Maui six boats ended up on rocks on the shoreline. 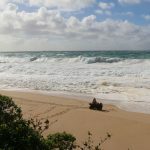 Two boats came ashore in Kihei one on Molokai.